Why Point and Shoot Cameras? Well, duh, because I wanted to use one. I go to the beach once a month. I wanted something that took better pictures than my cell phone, doesn’t involve carrying a bunch of gear, and doesn’t include changing lenses in blowing sand. Since I don’t use this type of camera often, I thought maybe I’d try out a couple and see which one I liked the best, so I dropped over to the Lensrentals website to see what we stocked. I found out we carry like 28 compact cameras and I didn’t have the slightest clue which one was what. I wouldn’t buy a camera without trying one or two out, but I’m sure not going to try out 28, so a little narrowing down was needed. The names don’t help. A Canon G1X Mk III isn’t an upgrade from the Canon G1X MkII; it’s an entirely different camera. 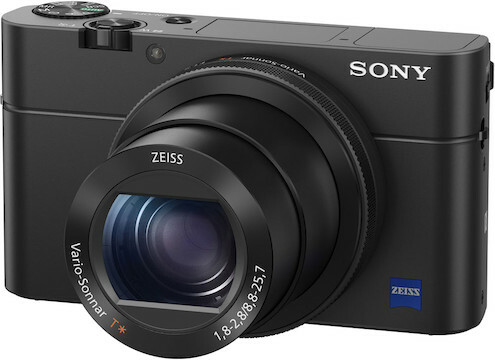 A Sony RX100 V is a slight upgrade from an RX100 IV, which is a major upgrade from the RX100 III. But the Sony RX100 VI, of course, is a different camera. The Fuji 100F is much newer than the Fuji 100T (I guess they rolled right through the end of the alphabet and started over). So, me being me, I made a spreadsheet and started filling in the blanks, to narrow the field down to some logical choices. I thought I’d share this, so no one else ever has to do that again. Is it a complete list? Oh, hell no. It’s just the ones Lensrentals carries. There’s about 450 more out there I didn’t even look at. Are the conclusions fair? Again, no. It’s the ones I liked the best. But I will tell you what I considered important so you can see why I chose what is best for me and give you some tools so you can modify the list for your own tastes. Well, as I’ve already said, it has to have a better sensor than my cell phone. The manufacturers are quick to tell you it’s got 27 Megapixels, but not usually so quick to tell you if the sensor is smaller a mustard seed. If it’s tiny, they’ll often try to make it sound big by using archaic terms from when sensor size was measured by the vacuum tube it came in, like 1/2.5″. So let’s start with a quick table showing the approximate size in mm² of the various sensors. A good cell phone camera has a sensor of between 25mm² and 40mm². So I put a premium on a compact camera at least having a 1″ sensor. If I’m going to use a cell-phone size sensor, I might as well put one of those horrid clamp-on lenses on my cell phone. Lenses are what I do, so I’m into high-quality lenses. Now I’m not going to test compact camera lenses for you, but there are two basic principles that apply: Prime lenses are better than zoom lenses and the longer the zoom range, the worse the lens. 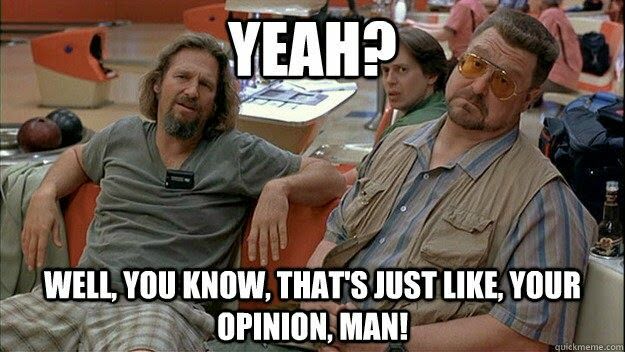 There are very, very few exceptions to those generalizations. I want ‘better than my cell phone’ capabilities, so I would like a little zoomability, and I’m going to prefer good 3X or so zooms. On the other hand, a high-quality sensor lets me do some aggressive cropping so I’d consider a prime lens if the sensor were stellar. There’s another sort-of-marketing BS that applies to the aperture label on compact camera lenses – if the camera has a small sensor, the ‘real’ aperture is much smaller than what it claims to be. It’s geeky stuff, but if you’re interested, there’s an About Apertures appendix. Anyway, I ended up making a table of cameras, lenses, megapixels, and sensor size for your amusement. You can click to show all 26 cameras and then sort by whatever column(s) you’re interested in. You’re welcome. Canon G1X MII 24-120mm f/1.8-2.8 12.8 1.5"
Canon G3X 24-600 f/2.8-5.6 20.2 1"
Canon G5X 24-100mm f/1.8-2.8 20.2 1"
Canon G7X 24-100mm f/1.8-2.8 20.2 1"
Canon G7X MII 24-100mm f/1.8-2.8 20.2 1"
Canon G9X 28-84mm f/2-4.9 20.2 1"
Fuji X30 28-112mm f/2-2.8 12 2/3"
Sony RX100 IV 24-70mm f/1.8-2.8 20.1 BSI 1"
Sony RX100 V 24-70mm f/1.8-2.8 20.1 BSI 1"
Sony RX100 VI 24-200mm f/2.8-4.5 20.1 BSI 1"
Sony RX10 III 24-600mm f/2.4-4 20.1 BSI 1"
Sony RX10 IV 24-600mm f/2.4-4 20.1 BSI 1"
Nikon Coolpix P900 24-200mm f/2.8-6.5 16 1/2.3"
Nikon Coolpix P1000 24-3000mm f/2.8-8 16 BSI 1/2.3"
Here’s where I have to group things a bit. I want a pocketable camera, not a hang-around-my-neck camera. Since I have absolutely no fashion consciousness at all, I’m willing to go with ‘fit in a cargo pants pocket’ (don’t judge). You may always carry a backpack or big purse (or if you judge me on cargo pants, probably a fanny pack). By careful trial and error (I walked down some aisles in the warehouse stuffing various cameras in my pocket, which should make for interesting security camera footage), I found 4.5 x 3 x 2 inches fits in my pocket. A little bigger shoves in a pocket. When you get to 5 x 4 x 3 inches and weighing a pound or more, it just doesn’t pocket. I’ll put a table of camera sizes at the bottom of the article for both of you who like facts. Size eliminated the ‘superzoom’ cameras (Nikon P1000, Sony RX10s, and Canon G3x) from my overall consideration, but I will give a separate ‘best of’ for the super telephoto compacts for you closet paparazzi out there. This may not be critical for you, but I’m using this at the beach in bright sunlight most of the time. You may be able to compose a shot on the LCD, especially if it’s articulated, but I find it clumsy, so a built-in viewfinder is important to me. An add-on viewfinder would be acceptable, but not ideal. I think of superzoom point and shoots as gimmicks, but if I wanted one, it would be one of these two. I eliminated all of the super telephoto ‘compact’ cameras because they’re too big for me. (I guess for completeness sake I should add I have less than zero interest in them.) I would entirely (despite one of my colleague’s recommendations) also eliminate the Nikon Coolpix P1000 because of the small sensor (and yes, I think the lens is more gimmick than reality). That leaves the Canon G3x and Sony RX10s. The Canon has a much lower price, but I’d have to add $300 for the EVF-DC1 add-on viewfinder which narrows the gap and makes the camera even uglier. The Sonys have better sensors, video capabilities, and wider lens apertures, but are larger. Despite being an older camera, I find the Canon’s wireless system to be a lot easier to use (well at least a lot less intrusive). The Sony looks a little more modern while the Canon (with viewfinder) is $150 cheaper. I don’t find the upgrades from the RX III to RX IV worth the $300 price for me. I start this kind of process by eliminating non-contenders, so I’m going to start by removing the two best cameras remaining. The Leica Q (Typ 116) and Sony RX1R II are multi-thousand dollar flagship cameras with a fixed lens. They’re cool, they take fantastic images, but at this price, I’ll change my lenses when I please, thank you. The Sigma Quattros are even cooler, and I’ve enjoyed playing with both to get a feel for Foveon sensors, but their length makes them not pocketable, and other issues make them not ‘all around camera’ to me. We still carry the Fuji X70 and X100T, but both are surpassed by newer models. The Fuji X30 was a good little camera in its day, but the small, 12-megapixel sensor just doesn’t cut it against the other compact cameras. The Canon G1X Mk II is only 12.8 megapixels. The 1.5″ sensor is very large, though, and the lens is good, although I’d need the external viewfinder again. Still, I want more megapixels than that, so it drops off the list. 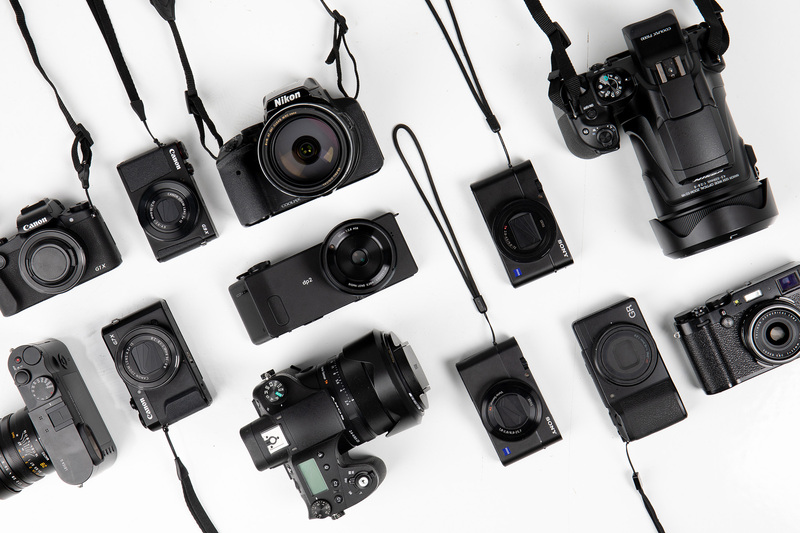 That still leaves me 12 models to seriously consider, and they fall into two broad categories: APS-C sensor cameras with prime lenses and 1″ sensor cameras with zoom lenses. Oh, and there are the two exceptions, the Leica D-lux, and Canon G1X III which have zoom lenses and larger sensors. All of the fixed focal length cameras are really good. The Fuji X100F has awesome image quality and a very cool hybrid viewfinder and is priced like it at $1300. The Fuji XF10 and Ricoh GRII are incredible values, and I might buy either just because they’re such bargains. But alas, neither has a viewfinder. Good as they are, none of them are so good that I’d rather crop their images than have the convenience of a zoom, though. If my needs were more for ‘pictures indoors at the party or museum’ rather than ‘pictures wherever, whenever’ I’d probably grab the Fuji XF10, though, so I’ll name that my ‘indoor compact camera winner.’ With a 28mm (equivalent) f2.8 lens, a 24-megapixel APS-C size sensor, and a $450 price tag it’s the perfect pocket camera for a trip to the museum. Typical Roger: the Fuji XF10 doesn’t meet my needs, but it’s awesome and cheap, so I want it anyway. 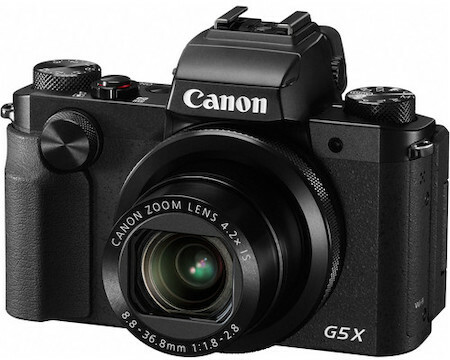 Of the 1″ zoom cameras the Canon G7x and Canon G9x have no viewfinder. I hesitated about the G9X because it’s genuinely tiny, very cheap, and has a nice ‘control via app’ function, but the lack of viewfinder kept both of those off the list. The Canon G5X and all the Sony RX100s meet all my requirements. The Sonys look much smaller than the Canon, but actually are just a bit smaller; the Canon is designed with the aerodynamics of a shoebox. The Sony 1″ stacked CMOS sensor is a bit better than the Canon 1″ sensors, so the Sonys start with an advantage there. 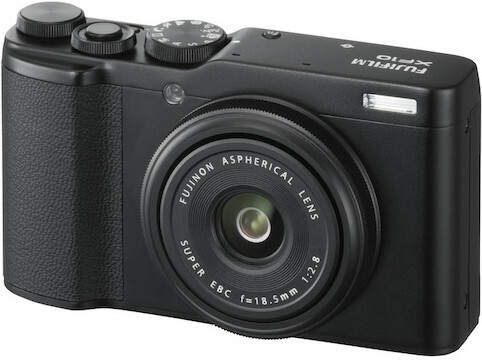 The RX100 IV has been our most popular compact camera for a while. The Sony RX100 V is a minor upgrade, and the IV meets all my needs at a lower price. The Canon G5X has a bit more lens range and is significantly cheaper, which offsets the rather bad case of the ugly it has. The RX100 VI has that longer zoom range, which is attractive, but the lens has a smaller aperture and not quite as good image quality, so I’ll call that even: no advantage, no disadvantage. The RX100 VI has a big price disadvantage, though. Of the two larger sensor zooms, the Leica D-lux is somewhat dated and rather low resolution. The Canon G1X III, though, has a large, high-resolution sensor, decent lens, built-in viewfinder, and meets my ‘pocketable’ criteria (although just barely). The f/5.6 aperture at 72mm isn’t all that attractive, but it’s not as different from the others as it sounds (again you can read the aperture thingie at the end of the post if you’re curious). So what did I choose? The Sony RX100 IV on the basis of smallest size, excellent image quality, and reasonable price. The Sony RX100 VA is at least as good, but also more expensive. When the IV disappears, then the V would move up. The Sony RX100 IV is my choice at this moment, but it’s getting hard to find already and may disappear soon. The Canon G5X was just a hair behind; the Canon has the better lens range and is a little less expensive; the Sony a slightly better sensor, video, and is a bit smaller. While it’s as sleek as a shoebox, the ergonomics are pretty good, and if you use Canon SLRs, the layout will seem very familiar. The Canon G5X is homely but otherwise excellent. It’s close enough to the Sony that I’ll take it for a test drive. I wanted to put the Canon G1X Mk III right with those, and it may actually be the best camera of the bunch, but it’s significantly more expensive. It might be worth a test drive, though, the bigger sensor and zoom make it attractive. The manufacturer tells you the ’35mm equivalent focal length’ of the lens but then claims its absolute aperture. Here’s an example. Let’s say the camera has a 1″ sensor, which is a 2.7X crop factor. If they claim it has a 24-70mm full-frame equivalent lens, it’s actually a 9-28mm f/2.8 lens. OK, fair enough. But then they calculate the aperture at the actual focal length actual (not FF equivalent) focal length. So the lens is a 9-28 f/2.8 aperture is 28mm divided by 2.8 = 10mm. That’s the actual size of the aperture. But if you then list it as a 24-70mm, well, a 10mm aperture at 70mm = f/7 (same math, different direction). It’s not a huge problem, but it makes you think that the lens might act like a 24-70 f/2.8 lens on your SLR and it won’t. To use an example from the actual cameras, the Sony RX100 (1″ sensor) lens goes to 70mm at f2.8, and Canon G1X (APS-C sensor) goes to 72mm at f/5.6. The actual (not FF equivalent) reach of the Sony lens is 26mm and the Canon 45mm. If you do the math, the Sony absolute aperture is 9mm; the Canon is 8mm. Not nearly as different as f/2.8 to f/5.6 would seem. Most importantly, when you pick up a compact camera with a small sensor and a telephoto lens, even at widest aperture it’s like shooting on your SLR at f/22. It still makes a picture, don’t get me wrong, but it will not make a very sharp picture. Does it matter much? Probably not, but I hate me some marketing BS. I must say this feels like a choose-your-camera-by-ticking-the-most-boxes kind of approach. Sony are the masters of showroom appeal by checking the most wishlist features. They will tend to win when you go about it that way. 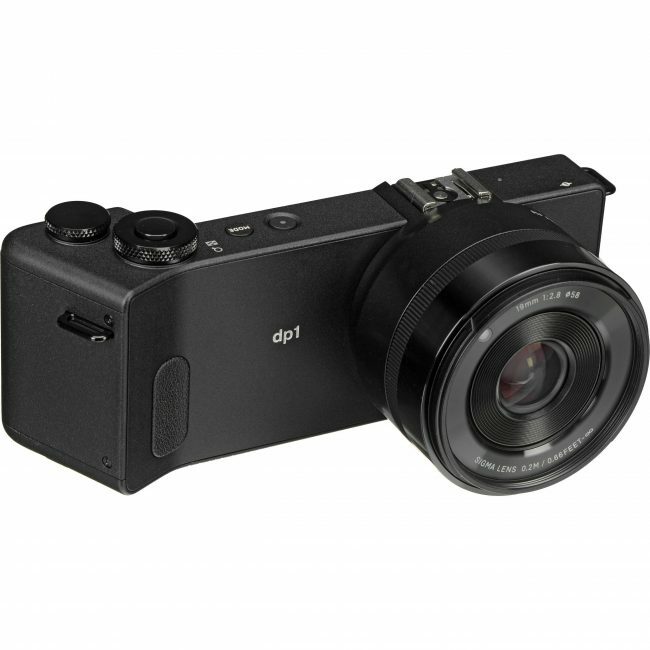 But check the DPR reviews of the RX100 series and especially the conclusions pages, and you will find a lot of frustration and dissatisfaction with the actual experience of using it. So the question becomes fundamental: does one only care about the final image, or does one actually want to enjoy and look forward to going out and using it? The Nikon P1000 (and P900) is huge in the nutzoid Flat Earth community because those cameras can prove the earth is flat. I kid you not..
A Fuji X-E3 with the 27 pancake seems like a possible solution. I’ve owned the orginal X100 and the X100T. Really wanted to like them, but the AF in OVF let me down too often. Not sure if I will find the EVF of the X-E3 disappointing. Roger – as always, great, detailed review. I went through the same crisis when planning a trip to Disney World with the kids. I was looking for pocketable (or close to it), preferable with one-handed operation, willing to comprimise on size a bit for better IQ. I typically shoot with a D850 or Fuji XPro-2 — one is way too big, one is way too heavy, both are way too expensive to take on rides, etc. I’ve also owned an X100S before — great camera, just a bit too big, and limited focal range. I tried many of the same ones you did. I *really* wanted to like the G5x — it has the viewfinder, articulating screen, nice zoom range, but I thought the images were quite poor. I couldn’t get happy with the colors (probably partly Nikon/Fuji color bias on my part), and the images had a “softness” to them that I didn’t like. You can blur the background with this camera, in quite a pleasing way, but my images with the camera just didn’t “pop” they way I like them to, due to the color and softness. I also tried the G7x — same results, worse form factor (small, but harder to use). I admit that maybe I just had a bad unit, perhaps poor lens alignment. So what did I end up with? A Nikon D3500 with the extremely compact and light AF-P 18-55 lens. No, not pocketable, but also not much bigger than the G5x (which is not all that pocketable if you’re not wearing a jacket). Also shockingly light. I brought it along with my 20mm f1.8 Nikkor for night shots, and my 24-120 (~36-180 equivalent) for extra reach, although they rarely left the hotel room. The best part? It cost around $400 refurb’d at the time (now on sale new for that price), and the APS-C image quality and colors are better than all of the compacts at that price. My favorite compact of all time: the amazing Nikon Coolpix A, 16mp APS-C sensor in a form factor about the size of the sony RX100’s. It has no anti-aliasing filter, and a fantastic lens, so the images beat (imho) the 16mp Fuji x100’s. It was a bit pricey when new, but I paid about $300 on eBay. Very pocketable, and just fun to shoot with. Amazingly crisp and sharp images, hard to tell difference from my D850 shots at reasonable image sizes. I carry it as digital backup when shooting film, and bring it with me when traveling light with the kids. Sadly they don’t make it anymore — if I had to replace it and couldn’t find another used one, I would probably check out the Ricoh as a likely replacement.